I’m so obsessed with these Fenty Beauty Fairy Bomb Shimmer powders! 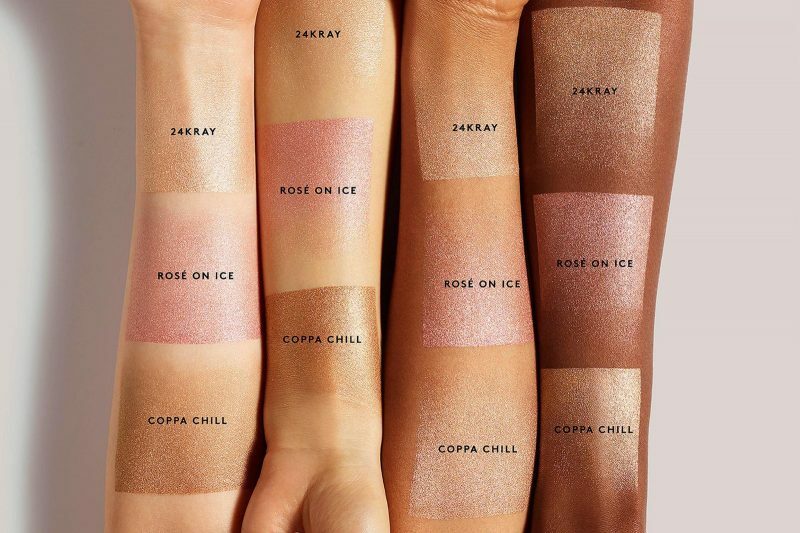 There are 3 shades and each shade goes well on all skin tones. My favorite is 24KRAY which looks so stunning on tanned skin! Swatches below! FENTY BEAUTY FAIR BOMB SHIMMER POWDER SWATCH IN 24KRAY. FENTY BEAUTY FAIRY BOMB SHIMMER POWDER SWATCH. GLOSS BOMB SWATCH.